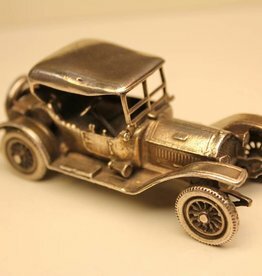 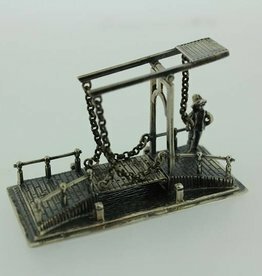 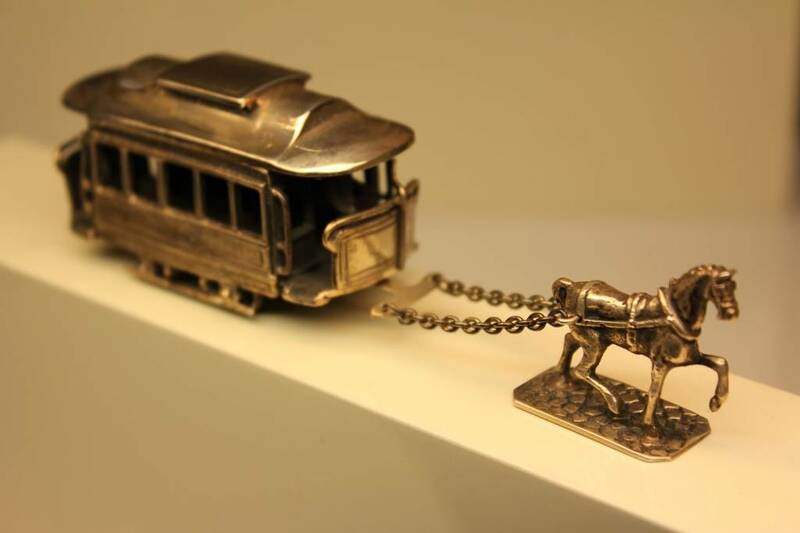 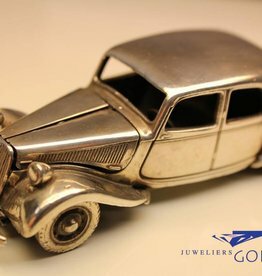 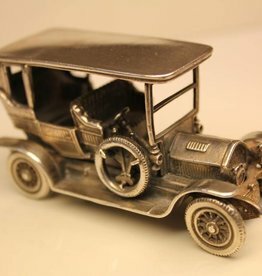 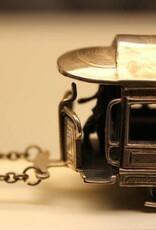 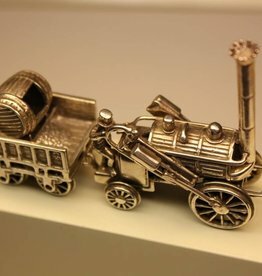 Cute silver miniature of a tram, pulled by a horse. 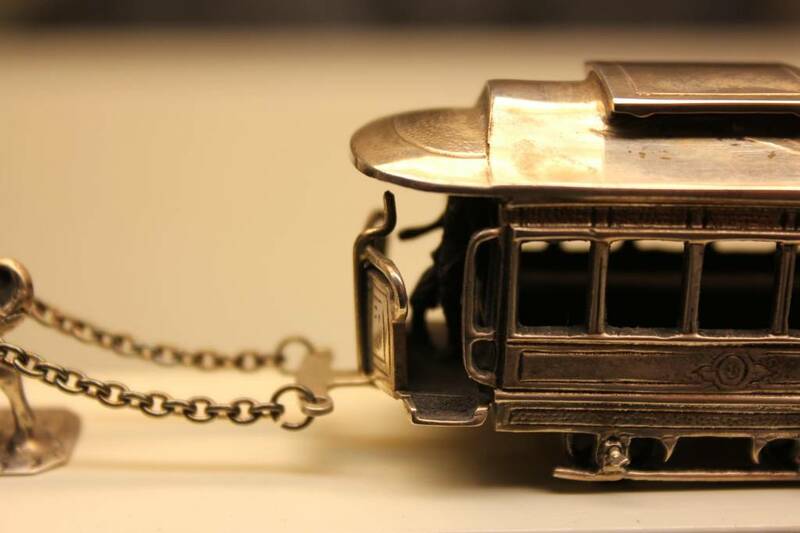 The tram itself is 61mm long, 34mm high and 24mm wide. 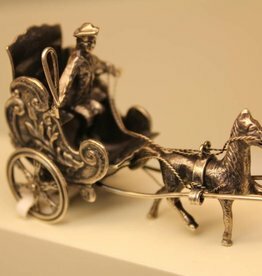 The horse is 30mm long and 26mm high. 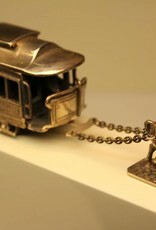 The miniature was created by Droog Senior & Junior from Haarlem 1969-1975.